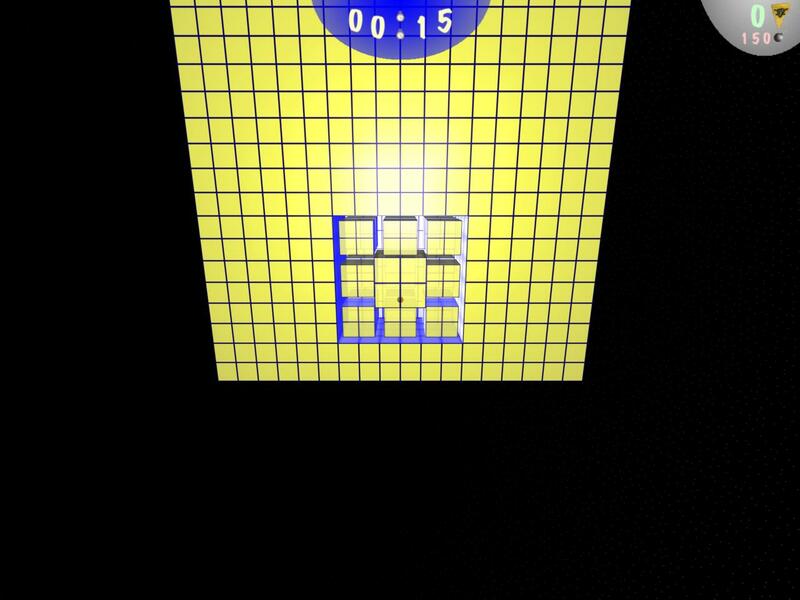 Mine Sweeper 3D is, just as the name suggests, a version of the classic game Minesweeper with the addition of depth. The added challenge that 3D brings to this classic formula makes this an altogether new experience for even a veteran Mine Sweeper player. The number 6 on a box was daunting in the original, how will you deal with a 16? 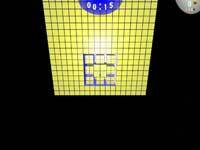 The classic Minesweeper game is played by disclosing the contents of a box on a grid. This will display a number which represents how many bombs (or mines) are touching that box. 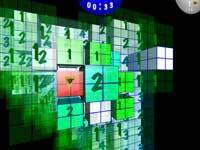 In Mine Sweeper 3D the game is the same only instead of a two dimensional grid, there is a three dimensional cube. 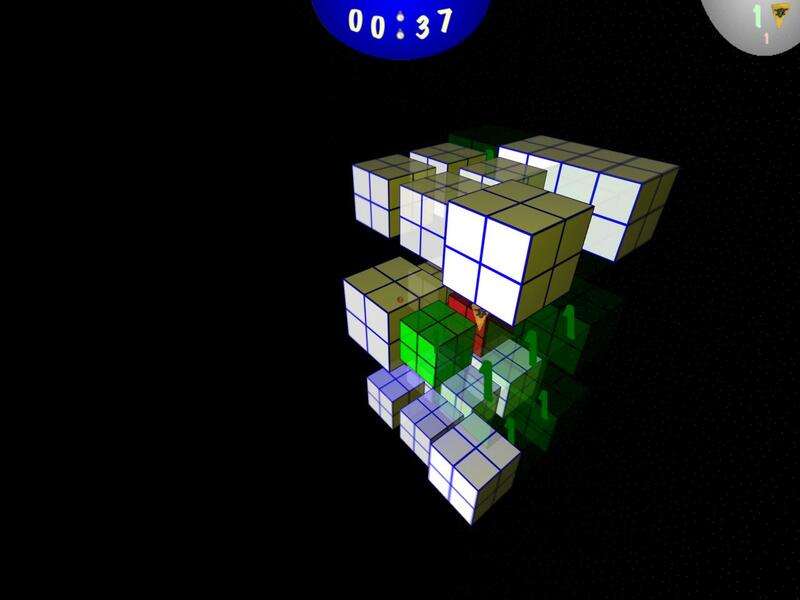 The cube is navigated from the first person perspective. You can fly through the cube, and split layers apart to get deep inside. Register: Mine Sweeper 3D costs $10.00 (US). To Register Mine Sweeper 3D and unlock the full game please click the "Buy Now" button at the top right of this page. You will be directed through the purchase process at PayPal's secure site. Upon successful payment you will be sent to a page where you will receive your registration code and instructions to unlock the full version of Mine Sweeper 3D. Why Register: When you register your copy of Mine Sweeper 3D you will be given a code to unlock the full game. The full game allows you to play past the fourth level (6x6x6 game cube) in the normal game as well as play custom games up to 9x9x9. Additionally registering ensures further development of this and other great games!